The Best Hypothyroidism blogs from thousands of top Hypothyroidism blogs in our index using search and social metrics. Data will be refreshed once a week. Hypothyroidism newsletter is a comprehensive summary of the day's most important blog posts and news articles from the best Hypothyroidism websites on the web, and delivered to your email inbox each morning. To subscribe, simply provide us with your email address. Facebook fans 4,927. Twitter followers 160.
santa monica california About Blog Blog by Dr. Richard Guttler, I am a clinical thyroidologist That means I evaluate patients for cancer. I do ethanol ablations of complex benign cystic solid nodules radiofrequency for solid. My 42 year mission to find alternatives to expensive, hospitalization for thyroid surgery for most benign thyroid nodules, some thyroid cancers. Facebook fans 633. Twitter followers 12,915. About Blog Shemeka Sumrall was diagnosed with hypothyroidism in 2004 after her thyroid removal. She’s a performance consultant, creative and nonfiction writer, and socialite. She blogs about living with hypothyroidism and hopes her experiences, stories and those of others integrated within her blog will help educate others on this disease. North Carolina About Blog Blog by Audrey Childers author, blogger and health journalist. Where she talks about her experiences with hypothyroidism. You can find recipes that has worked for her and her personal spin on things we can do to heal our body naturally. Facebook fans n/a. Twitter followers 798.
worldwide About Blog Thyroid mistreatment using T4 medicine and hypothyroidism misdiagnosis are too common. Find out the truth about this ongoing scandal. STTM's mission is to spread the word about worldwide reported patient experiences and wisdom concerning better thyroid treatment and more, to help you in working wiser with your doctor. Facebook fans 237,815. Twitter followers 8,040. Minneapolis, MN About Blog We teach women (and a few good men) with hormonal imbalances and autoimmune conditions how to support and nourish themselves with whole foods nutrition, holistic lifestyle choices, and other natural remedies so they can regain their vitality, emerge from the fog, and live symptom-free. Facebook fans 5,698. Twitter followers 1,171. About Blog My Labs For Life offers a simple and reliable option for those who are looking for an alternative resource to access personal health information. Blog discussing health, wellness, prevention, and treatment, and how you can take charge of your well-being. Facebook fans 42. Twitter followers 559. Edmonton, Alberta About Blog Counselling and Mental Wellness Information, Resources, and News on Hypothyroidism. Facebook fans 131. Twitter followers 2,924. 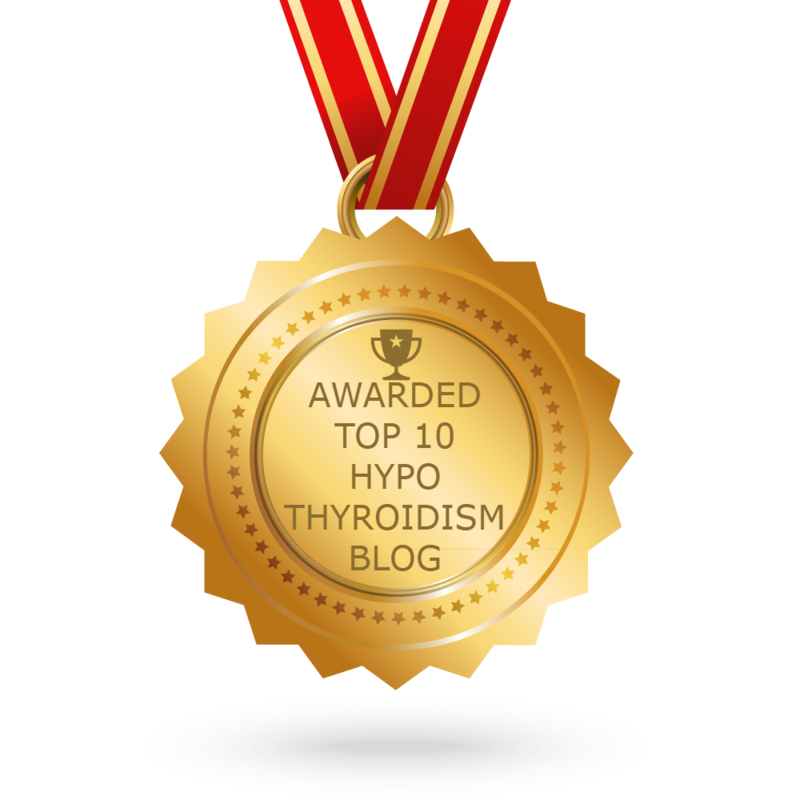 CONGRATULATIONS to every blogger that has made this Top Hypothyroidism blogs list! This is the most comprehensive list of best Hypothyroidism blogs on the internet and I’m honoured to have you as part of this! I personally give you a high-five and want to thank you for your contribution to this world.